Yoshiki Masuda was born in Tochigi Prefecture. He creates electroacoustic music using computers, synthesizers, and field recordings, and performs live sessions to interpret the music. He has worked on music and acoustics for numerous projects, including film, installations, and performances. His accolades include the CCMC 2016 MOTUS award and the 2017 Ataka Award from the Tokyo University of the Arts. 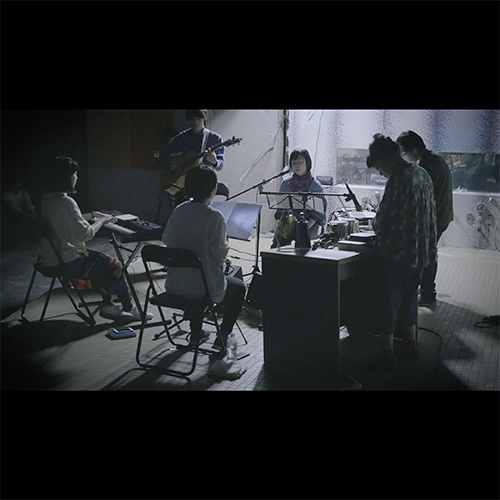 “Sou Kamoshirenai Live” (Maybe Live) by the Sono Theatre Group. 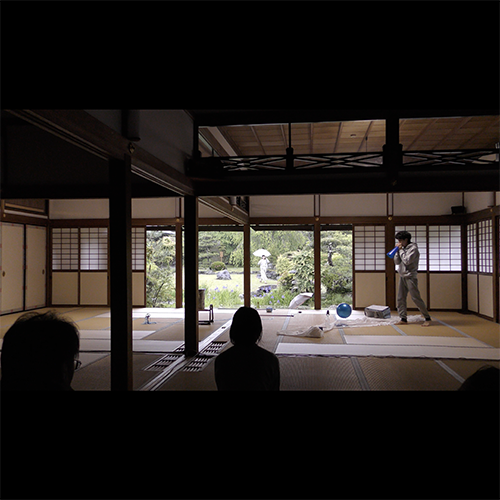 A performance accompanied by a live music session was performed by the Sono Theatre Group in the Honbo Hiroma room at the famed Todai-ji temple in Nara. 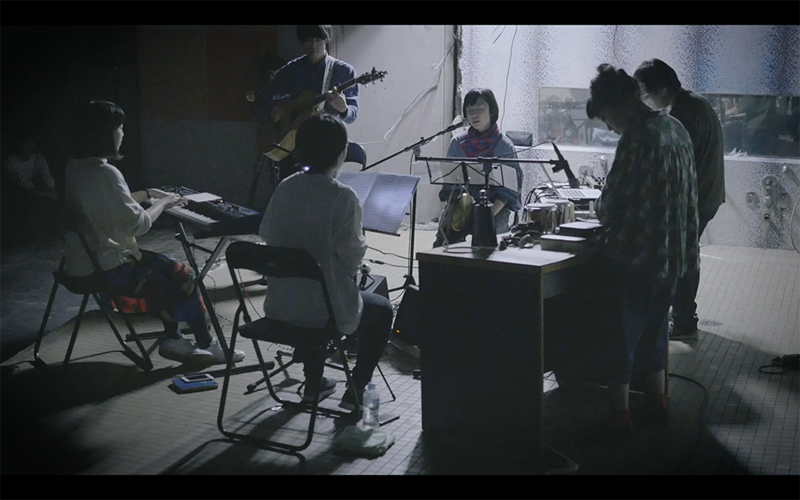 This was a six person live band session performed as part of the Alternative Act Vol. 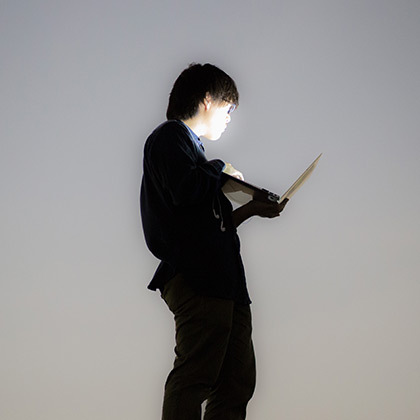 1 Tech Performance Fes held at the Kita Senju Art Center BuoY on April 14 and 15. 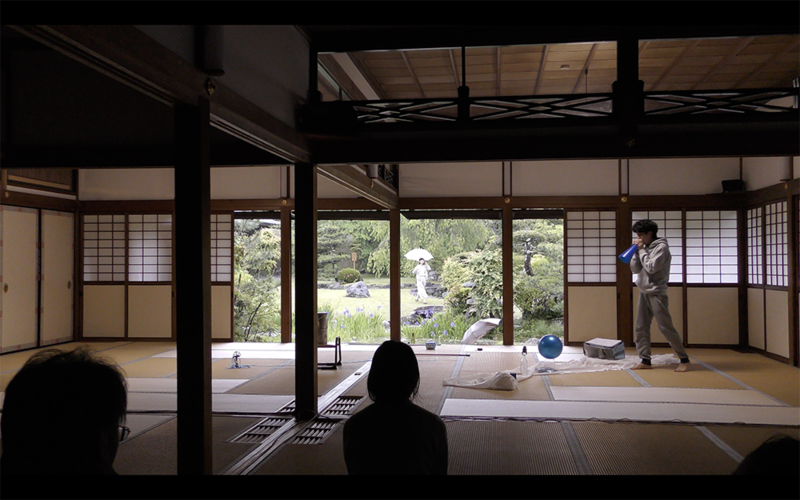 Performances by each participant were added to the electronic music composed by Masuda to present the music anew through live performance and improvisation.